What can I expect from Green Light? 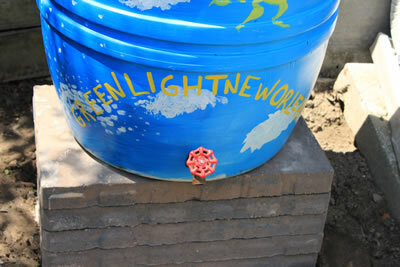 Participating households will have a rain barrel installed by Green Light staff and volunteers. Green Light provides all the materials needed—the barrel, rainwater diverter kit, and the concrete blocks used to elevate the barrel. 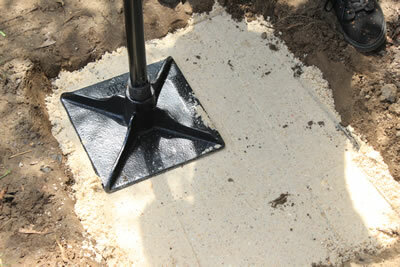 If you have uneven ground, Green Light will use sand and gravel to level a space for your rain barrel. 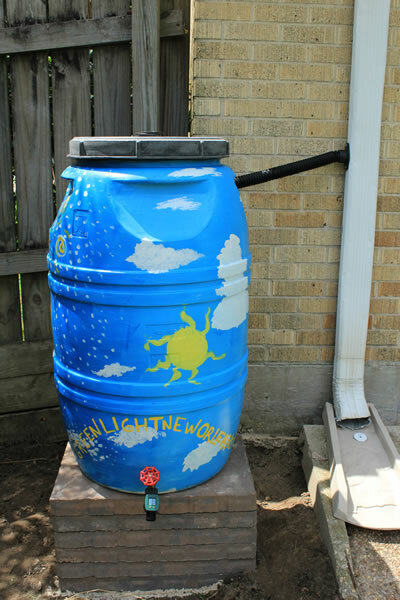 How does Green Light’s Rain Barrel program work? 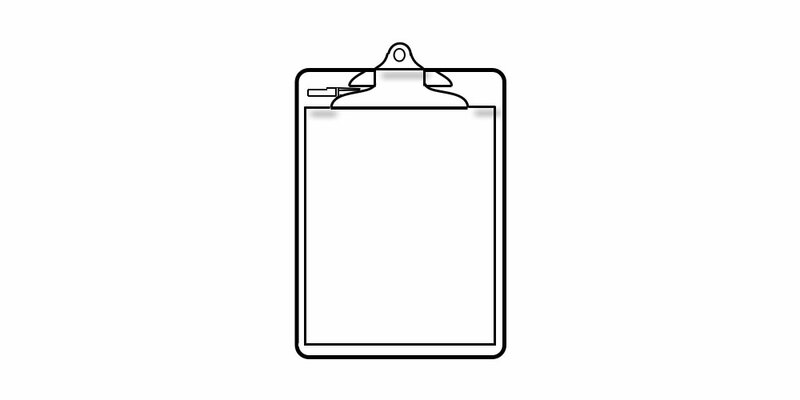 You: Meet all the program requirements and fill out an application. We: Let you know when we receive your application and place you on the waiting list. We: Will contact you when we are ready to schedule you and find a good time to install the barrel. We: Bring the barrel, cement pavers, rainwater diverter kit, shovels, sand and gravel—all the goods we need to build a solid rainwater harvesting system! 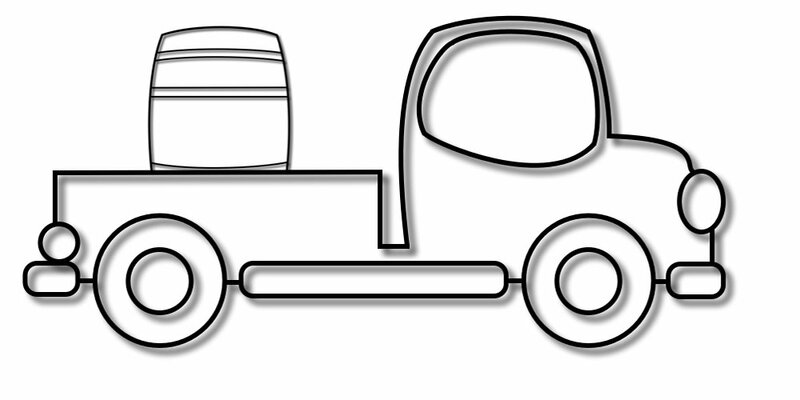 You: Maintain the barrel (use it, clean it, ensure it’s on a steady base) and let us know how it goes. Not quite. We ask for a cost share. The cost share starts with $10 and is based on a self assessment.See the details at the end of the application form. If I sign up for the Green Light program, will I get a plain or painted barrel? Rain Barrel program participants have the choice of a plain barrel (the au natural style), a barrel painted by an artist. 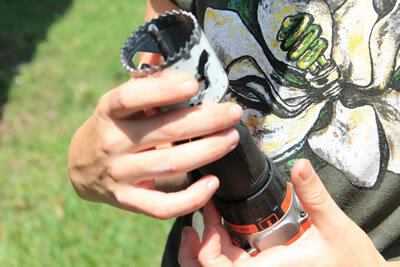 Can I use a regular garden hose with the rain barrel? 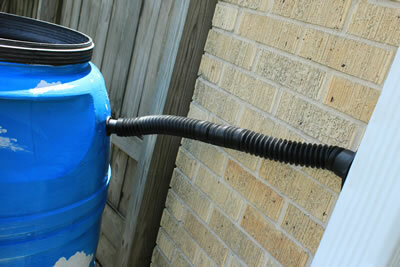 Rain barrels don’t create enough water pressure to operate a regular garden hose. 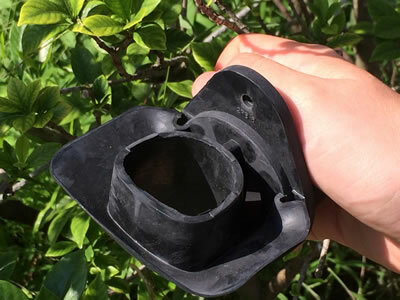 We elevate the barrel to increase water pressure, but you will still need to use a watering can or low-pressure soaker hose to operate the barrel. 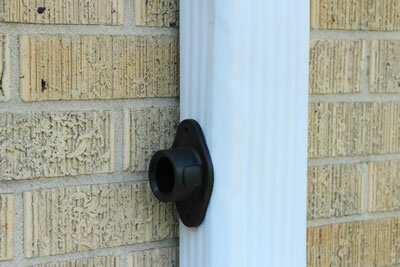 How does the water enter my barrel from my downspout? 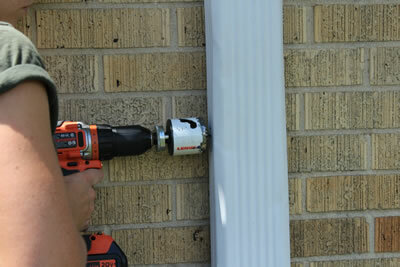 To divert the rainwater from your downspout into the barrel we have to drill a hole into your downspout. If you move the barrel in the future, you’re responsible for patching that hole! 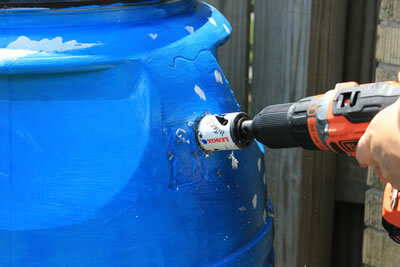 Besides maintaining the rain barrel after it is installed, do I have any other obligations to the program? 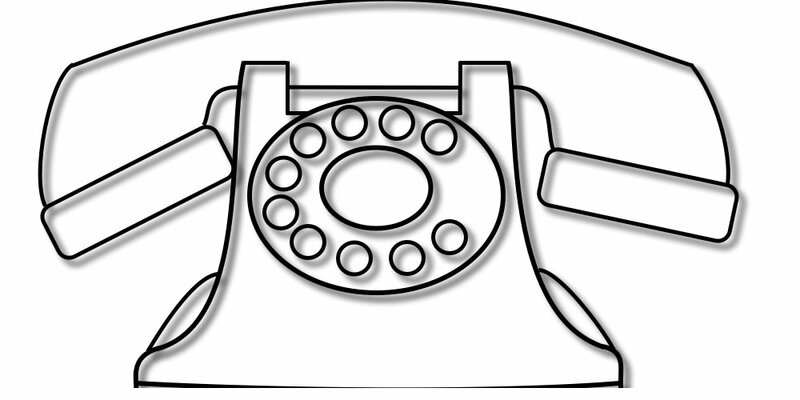 We’re going to call you to check-in. Pick up the phone! We don’t mean to be pesky, but we’re curious how often you’re using your barrel. These calls help us improve our and measure our impact. 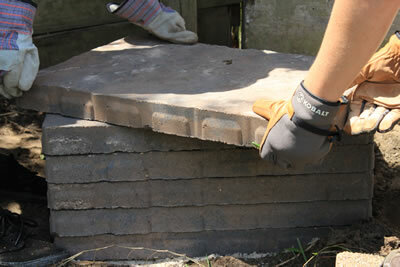 What happens if my rain barrel foundation shifts and my rain barrel is no longer level? 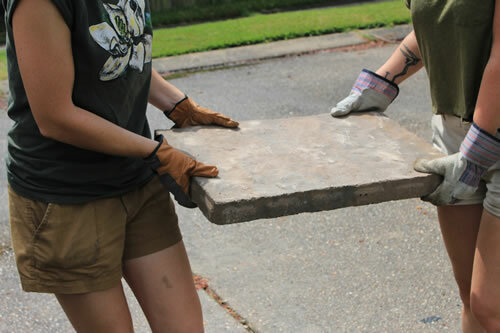 New Orleans is slowly sinking and we’re not mighty enough to stop your soil from shifting entirely. 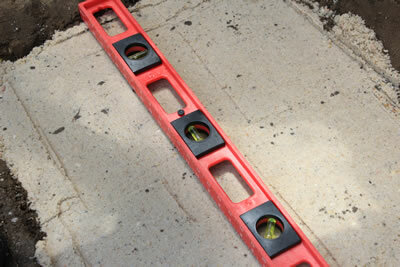 We do our best to level out an area before constructing a foundation, but it is your responsibility to ensure it remains level and to fix it in the future if the barrel starts to lean.